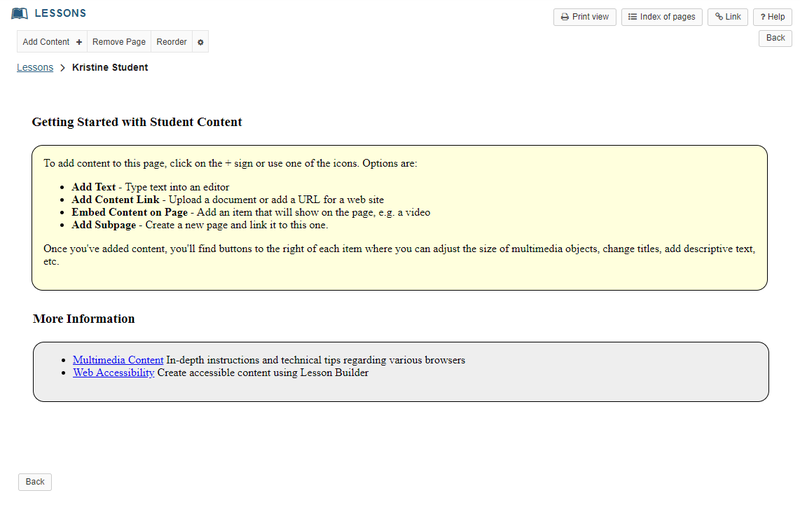 Sakai Guides and DocumentationSakai Complete User Guide LessonsHow do student add content to Student Pages in Lessons? Zoom: Click Add Your Own Page. 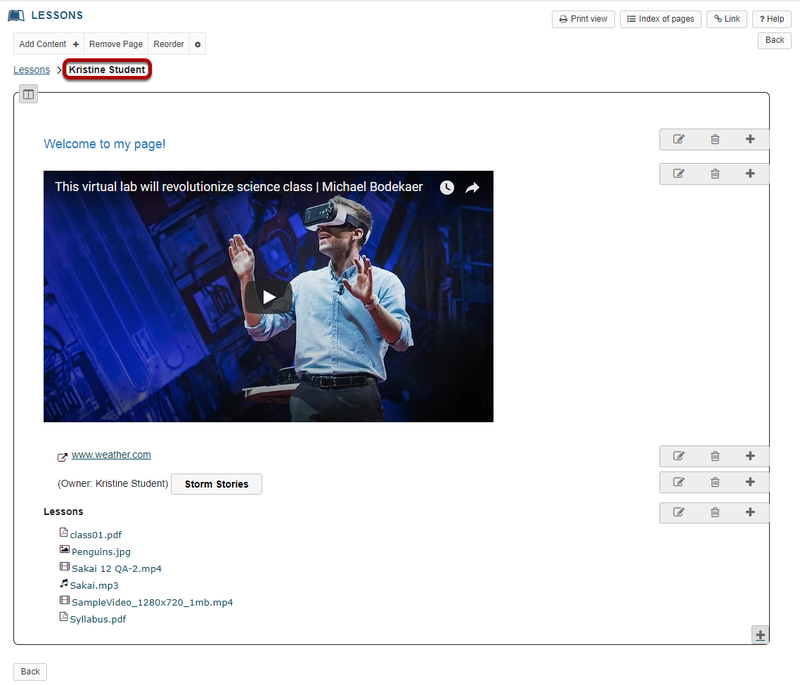 Zoom: Embed content on page. Add Resources folder displays all the resources in that folder on the page. Select the folder and click Save. 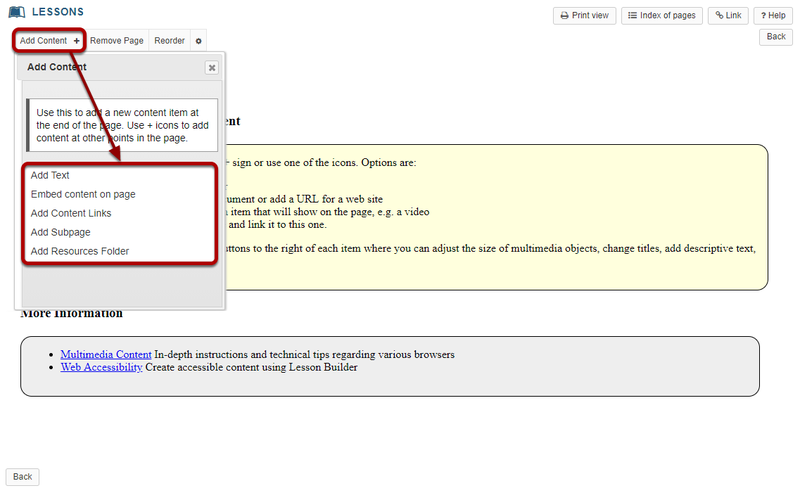 If you need to rearrange items on the page, click the Reorder link in the top left corner of the page. Zoom: Drag and drop items to reorder or delete. You can drag and drop items to change the order in which they appear on the page. You may also drop items on the the right side of the screen where it says "Drop items here to delete" or you can use the red X next to individual items to delete them. Click Save to save your changes. Prev: How do I import Lessons content? Next: How do I create multiple sections on a Lessons page?